Athletic director hiring has experienced a number of trends and continues to go through an evolution. Initially, athletic directors were former coaches, often football coaches, who moved into the AD chair as a way to transition out of the head coaching position and insure that the football program had someone who could maintain fund raising and operational support. While this sometimes occurs today, and there are some excellent examples of legendary coaches who have made this move, it is significantly less prevalent than it once was. As athletics became more expensive, the next trend was to hire people who had significant fund raising experience. This trend has continued with the increased pressure on athletic departments to identify more funding sources in the face of state budget pressures and increasing costs. The latest trend has presidents seeking leaders from significant business backgrounds, often with little or no direct intercollegiate athletic administration experience. Examples include Michigan's hiring of pizza CEO David Brandon, USC's hiring of Pat Haden from the private sector, and the PAC 12's (PAC 10 at the time of the decision) decision to hire Larry Scott who ran a professional tennis tour. The increasing complexities of college athletics from television, internet, branding, licensing, marketing and a host of other external emphases makes this trend likely to continue into the future. Indeed it is a trend reflected throughout higher education as university chancellors and presidents are selected less and less from the faculty and more for their fund raising, business acumen and political ties in a tenuous budgetary environment. Higher education and Division I college athletics are both big business. Because of this emphasis, higher education’s culture, norms, and structure are under significant pressure. And these pressures will continue. For those who view athletics as a business, their sponsoring institutions are even bigger businesses and that means increasing financial expectations for the AD regardless of the background the person brings to the table. Increasing revenue and understanding the business of college athletics isn't a separator, it's an expectation. 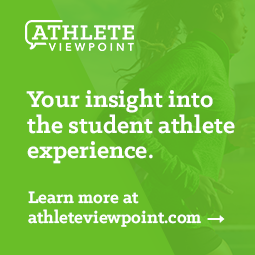 But those expectations can vary depending on the institution and prompt some important questions you should ask yourself as you consider your path to becoming an athletic director.